This Broccoli Salad Recipe with creamy lemon dressing is one of the first and most loved recipes on my blog; an oldie but a goodie! 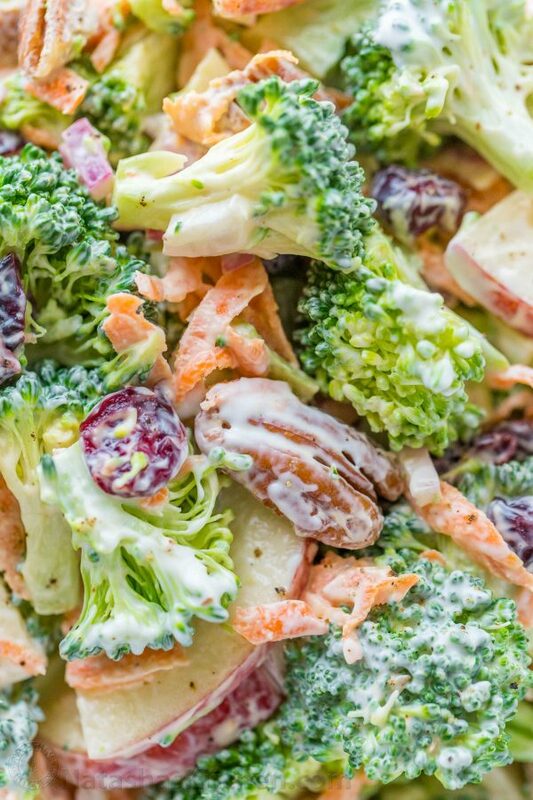 It is loaded with crunchy broccoli, crisp apples, chewy craisins and toasted pecans. The creamy lemon dressing brings everything together and it just works. 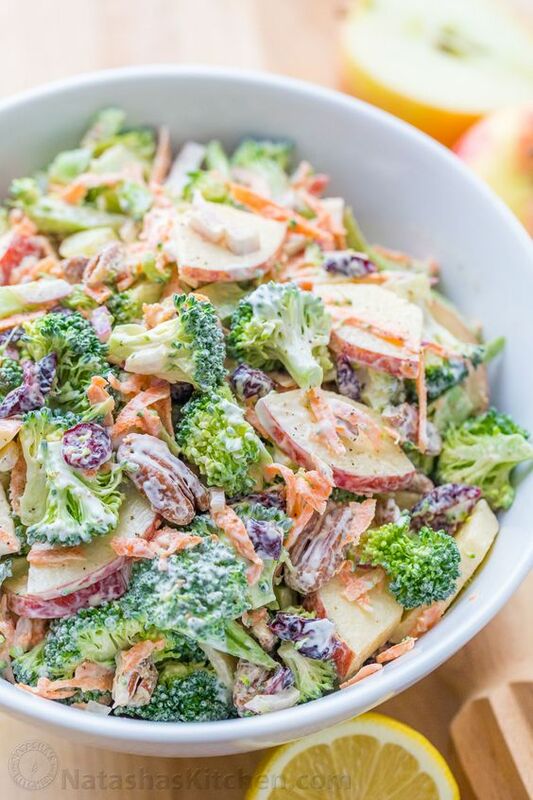 This broccoli salad also refrigerates well so if you’re lucky enough to have leftovers, it will still be delicious the next day. The lemon dressing preserves the apples and prevents browning. So yummy! Peel the stems and chop full heads of broccoli into bite-sized pieces. Grate carrot, chop apple and thinly slice onion and transfer into a salad bowl. Add toasted pecans and dried cranberries. In a small bowl, whisk together all salad dressing ingredients then add dressing into the salad to taste and toss to combine. 0 Response to "Broccoli Salad Recipe with Creamy Lemon Dressing"